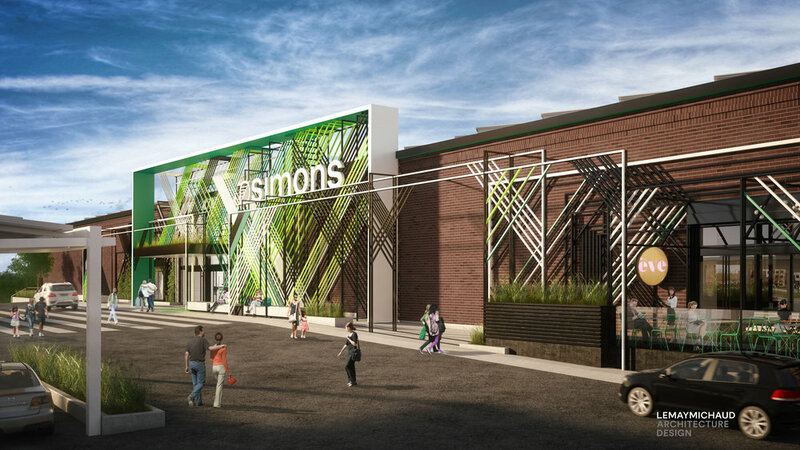 When La Maison Simons unveiled its net-zero energy department store at Quebec’s Gallerie de la Capitale in March, the move marked some serious milestones for the 178-year old company, as well as the retail industry at large. Staking its claim as the first energy neutral retail building in Canada, Simons’ latest 80,000 sq ft location is also the biggest of its kind to date. 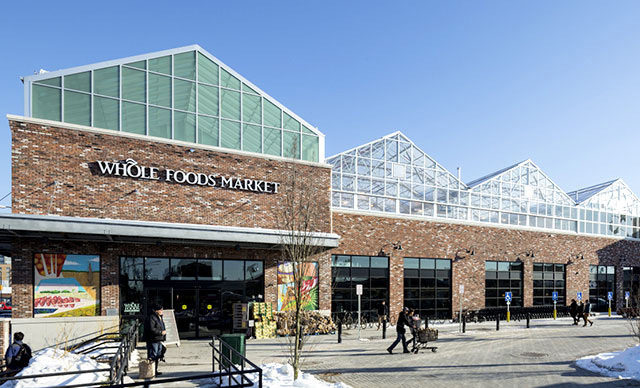 While there have been several net-zero stores built across North America in recent years, none of them take up the large footprint that this one does. Two months after opening, Simons’ Director of Store Development, Angela Stinson, believes the new addition may even exceed initial expectations. “It’s still early, but it’s possible the store could end up being net positive. “Initial studies showed our solar would perform well during sunny months. But we’ve had quite a lot of cloudy days lately and despite this, we’re still making more energy than we’re consuming,” she said. Sporting over 3,300 bifacial solar panels across its rooftop and parking lot canopy, the setup is capable of generating 1,300,000 kWh per year, which is equivalent to 50 homes. Alongside 27 geothermal boreholes — which help draw heat from the store to keep it cool, as well as pump warm air in during colder months — the store also boasts a superior LED lighting control program and an efficient HVAC system. The store’s green features have sparked widespread inquiry from customers. Stinson said it’s exactly the kind of outcome Co-owner and President, Peter Simon, had hoped the undertaking would achieve. Though if this kind of customer attention comes as a surprise to anyone in retail, they haven’t been paying attention. Simons has installed 2,308 bifacial solar modules on the rooftop of its Galeries de la Capitale location. Globally, 93% of customers expect the brands they buy from to do more on social and environmental issues. A Nielsen report in 2015 found 73 percent of millennials are willing to spend more on products from sustainable companies. Considering this massive demographic has well and truly hit its stride in the marketplace, the need to adopt greater sustainable practices is glaringly obvious. “Environmental awareness and impact are the next critical issues of our lifetime." “My hope is that we’ll see a lot more retailers and a lot more commercial business, period, taking all of this much more seriously,” Stinson said. And taking it seriously has certainly been a focus for Simons. Breaking ground on its new net-zero store took six years to orchestrate. To prove just how determined they are to spark widespread adoption, the company is more than happy to share its sustainability secrets with anyone who asks. Despite the obvious benefits of greener retail store design, we’re yet to witness a real groundswell of net-zero projects throughout the industry. But in 2018, retailers must sense a mounting pressure to evolve. The California Public Utilities Commission wants all new commercial buildings to be net-zero from 2030 onward. With this just over a decade away, it’s difficult to anticipate the likelihood of achieving such an ambitious target. Only 332 net-zero commercial buildings were constructed in the USA and Canada from 2000 to 2016. The reason for this lag is perhaps the sheer cost involved with net-zero development — something Stinson admitted would be foolish to downplay. This isn’t to say that progress isn’t being made at all. Walgreens erected the country’s first net-zero retail location in Illinois five years ago, while companies like Whole Foods have been raising the bar for some time. For instance, the chain’s Gowanus (Brooklyn) location made headlines for being America’s greenest supermarket when it opened in 2013. It’s now upping efforts and spending $3.6 million to transform an existing store in San Francisco into the world’s first net-zero grocery store. Whole Foods in Brooklyn Gowanus Brooklyn was America’s greenest supermarket when it opened in 2013. While some of the biggest names in retail may be taking the lead, there are also welcome efforts from the opposite end of the spectrum. Opening its first store in 2011, Texas-based home improvement retailer, TreeHouse, may still be in its infancy, yet it’s making a big statement in sustainability innovation. Despite being less than a decade old, the company already has a net-positive store to its name. 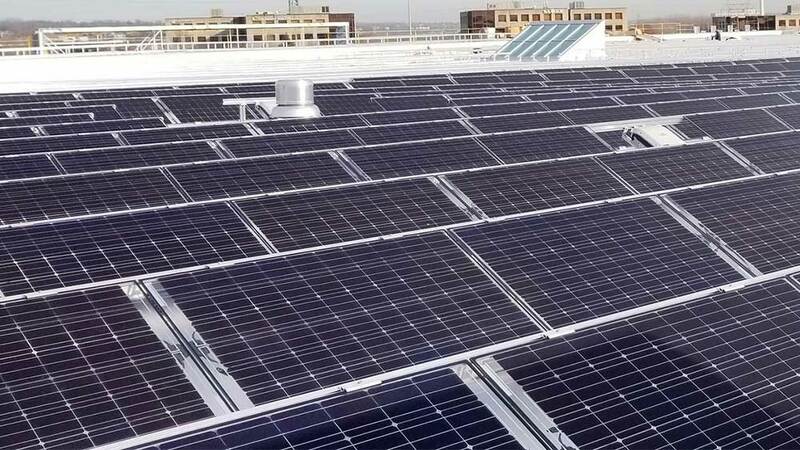 Opening a year ago in Dallas, this big box retailer is the first of its kind, making use of Tesla Powerwall battery technology, carefully thought-out window placement and a special sawtooth rooftop design to optimize solar energy generation. Going hand-in-hand with its overall drive to inspire sustainable living in customers’ homes, TreeHouse is attracting quite a following, and plans to open another four stores next year. 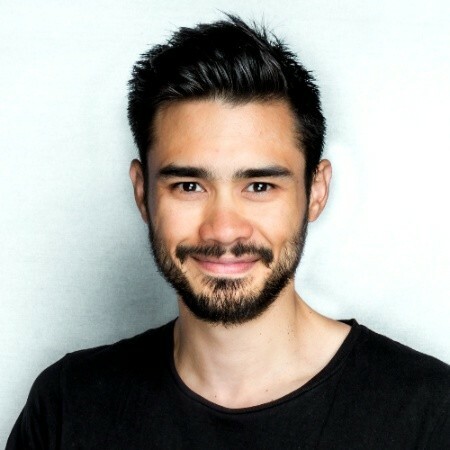 For Simons, the real value of sustainable retail development is the way these initiatives can act as the catalyst for substantial, long-term change on a global scale. Beyond energy efficiency, much of the focus around the Quebec store has involved how to best engage customers, ultimately encouraging them to rethink their own environmental efforts. For example, the store is filled with thought-provoking artwork, and also features three bicycle-powered charging stations for guests to interact with. At other stores, Simons has recently invested in bee hives on its rooftops to boost dwindling populations of the insect, but mostly, raise some much-needed awareness. As to what lies ahead, Stinson stressed striving for net-zero has merely opened the door for further innovation in other areas of the business. To learn more about Innovations in Sustainable Store Development join us at RetailSpaces '18 taking place September 23-25 in Scottsdale, AZ.